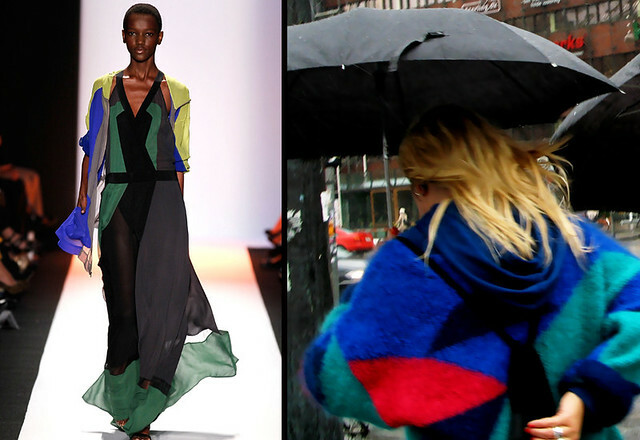 Thank goodness for New York Fashion Week, we've needed a little color to brighten up our rainy Copenhageny autumn. Enter BCBGMAXAZRIA and some of their brilliant color block designs for Spring 2012. 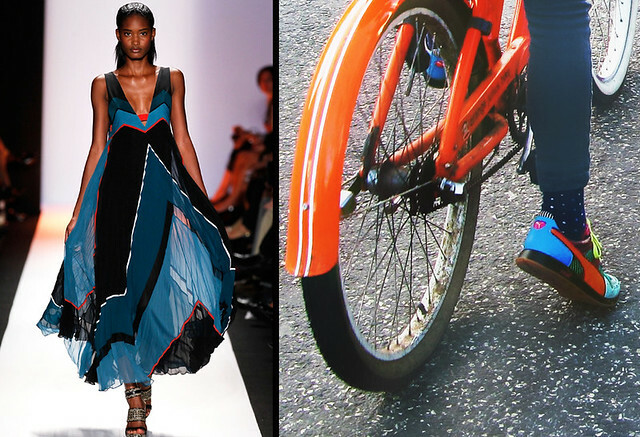 Here are a few from their runway, translated to Cycle Chic street wear. I love the orange mudguard.